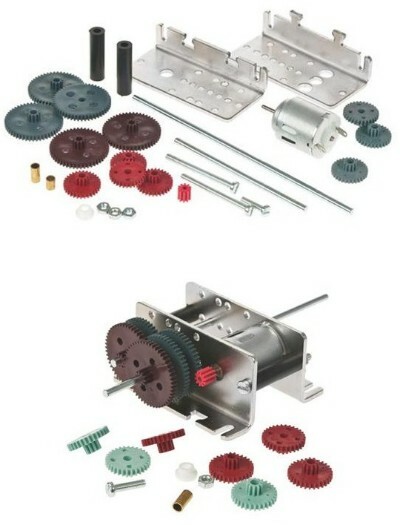 Variable ratio options with this gearing kit. 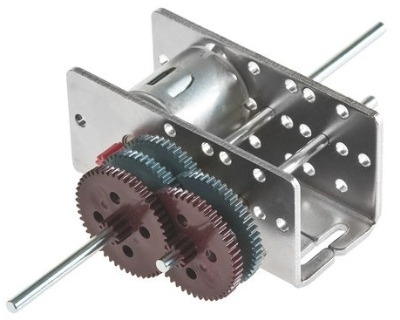 The metal angle plate housing ensures that the gearbox runs smoothly. Straight forward construction with variable gear ratio combinations from 5:1 to 1125:1. Simple mounting into individual projects using slotted holes in the gearbox casing. Complete with motor R20 and printed ratio variations.